Hi friends this is a new post from my side and I am also an enthusiastic person who love to share knowledge through blogging and in this post I am going to talk about the trusted sites that may help you to earn online in Nepal. Well the trend of online earning in Nepal has just started in Nepal and most of the newbies are not in the right path. They don't know the right strategy to earn online in Nepal. However many Nepalese are still interested to make some bucks online and the battle begins there. 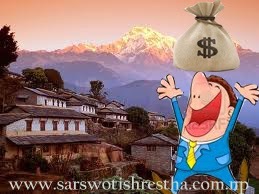 Recently there are some websites launched that gives you right training to earn online in Nepal and you can learn the perfect strategy to earn online in Nepal.Well you can do these things yourself at home but since the trend of online earning in Nepal has just started so it is good to learn through training. It basically trains you about the online marketing and also the affiliate business. It ties up you with giant companies like Amazon,Google,Yahoo,Ebay,etc. So I recommend you to prefer Weblink Nepal for online earning training. So these are sites that can help you to make some bucks online but there are also some other websites which can lead you to scams so beware and careful you can get trapped. Before paying any institute ask for the testimonials and all. You should be able to judge yourself what is wrong and what in right in online earning case. So learn and earn.